FBI Director James Comey said Tuesday that he’s confident ISIS will be destroyed soon in Iraq and Syria, but that won’t stop the spread of extremism. Testifying before Congress, Comey said he’s worried that terrorists will leave Syria and Iraq and flock to other countries, CBS News reports. 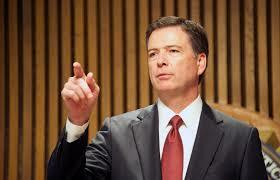 “There will be a terrorist diaspora sometime in the next two to five years like we’ve never seen before,” Comey said. Nicholas Rasmussen, director of the National Counterterrorism Center, said concerns remain high about al-Qaida and its affiliates. There’s also the increase of “self-radicalized” attacks in the U.S.
Johnson said terrorists are difficult to detect because attacks can occur with little or no notice. Posted: 9/28/16 at 9:32 AM under News Story.